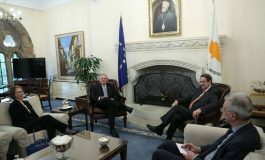 Permanent Secretary of Cyprus’ Ministry of Foreign Affairs Nicos Emiliou met on Friday in New York with UN Under-Secretary-General for Political Affairs Lynn Pascoe, with whom he discussed developments in the ongoing negotiations aiming to solve the problem of Cyprus. Emiliou had also met on Monday and discussed the Cyprus problem with Director of the Americas and Europe Division and Officer-in-Charge of the UN Department of Political Affairs Elizabeth Spehar, Deputy Chef de Cabinet and Special Advisor to the Secretary-General of the United Nations Kim Won-Soo and Assistant Secretary-General for Peacekeeping Operations Atul Khare. According to diplomatic sources, Lyn Pascoe stressed the need for the parties to reach an agreement on an action plan that will enable the negotiations to be intensified after the July 7 meeting in Geneva. United Nations and other key players see a timetable for the negotiations to be concluded successfully before Cyprus takes over EU presidency, on July 1st, 2012. 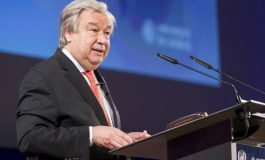 Meanwhile the report of the UN Secretary General for the peacekeeping force of the United Nations in Cyprus (UNFICYP) that was expected to be issued over the weekend and it is not expected to contain any surprises. 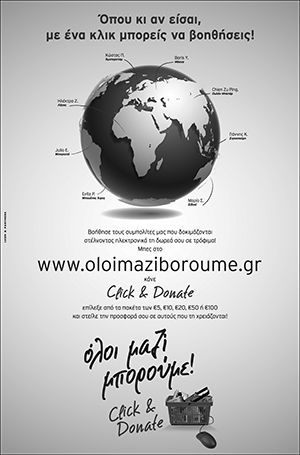 According to diplomatic sources, the Secretariat has assured that the report will be kept at a technocratic level and the terminology concerning the restructuring of the force and the so-called isolation of Turkish Cypriots will be the same as the previous one. 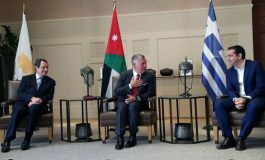 According to the same source, the references concerning the Secretary General’s good offices in Cyprus will be very brief, noting that negotiations are ongoing and that the Secretary General will meet with Cyprus President Demetris Christofias and Turkish Cypriot leader Dervis Eroglu on 7 July in Geneva. The report is expected to be officially released on Tuesday or Wednesday.